A Smile for A Child, a charity who has supported pupils in Clare Mount in the past, has once again made a kind donation to the school. The £1000 donation was raised by Mick Hoban who completed a triathlon in memory of a friend. Mick himself was delighted to visit the school in person to hand over the cheque to pupils at Clare Mount. "The aims of the school in using sport as a vehicle to improve the personal and social skills of young people with learning challenges and autism are very much close to my heart as I have a daughter who is also on the autism spectrum. 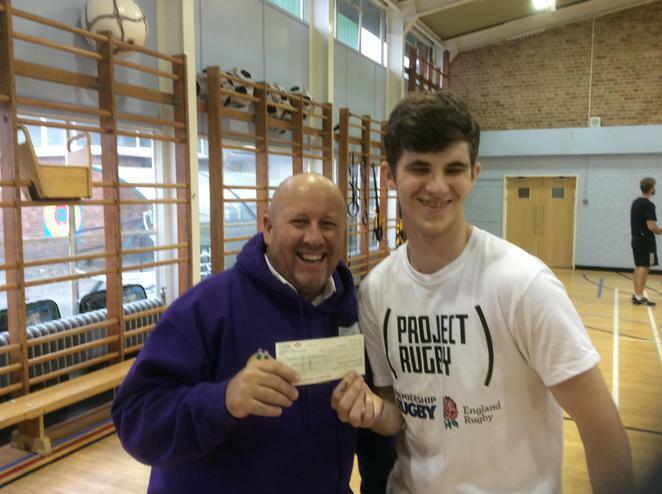 I hope the donation - which will be used to purchase some new boxing and fitness equipment - helps the school to continue with the outstanding work you are doing and inspires other youngsters to choose sport.